PTSD from domestic violence, also known as intimate partner violence (IPV), is particularly damaging. Both physical abuse and emotional abuse at the hand of an intimate partner have a serious effect on the way the abused person thinks, feels, and interacts with the world (Effects of Domestic Violence, Abuse on Women and Children). PTSD can result from any type of trauma, but for unique reasons, PTSD from domestic violence, physical or emotional abuse, can be a pervasive, long-term struggle (PTSD Treatments: PTSD Therapy, PTSD Medications Can Help). Rather than occurring as a single traumatic event, domestic violence and emotional abuse tend to be chronic, repeated over time. Chronic exposure to the trauma of intimate partner violence leads to chronic (often years-long) PTSD; the effects of both the abuse and PTSD are never allowed to diminish. Because the perpetrator of the violence and abuse is someone who is supposed to be nurturing, safe, and trustworthy, domestic abuse is particularly damaging to someone’s psyche, and the resulting feelings of abandonment and betrayal are entwined with the other symptoms of PTSD. Domestic violence is part of someone’s daily life; there’s no break; therefore, the effects of PTSD are intensified. 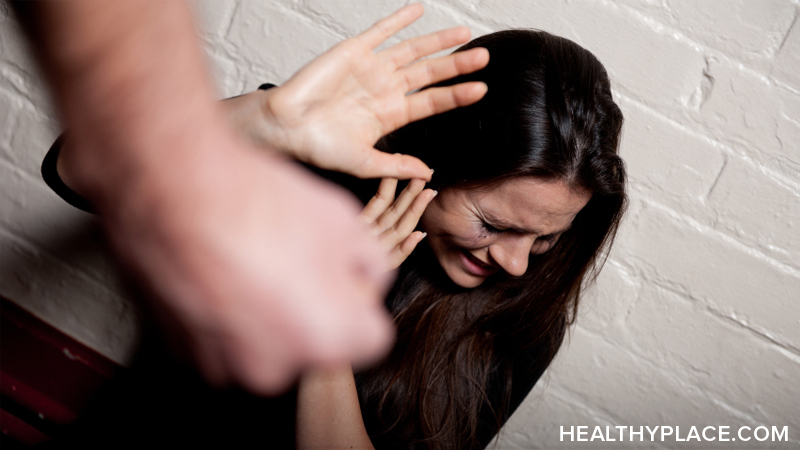 Both men and women can be victims of an abusive relationship, and both can develop PTSD. Women, though, are far more likely to suffer intimate partner abuse (What Causes Some Women To Develop PTSD Symptoms?). The National Center for PTSD (2015) reports that approximately 27 percent of women and 10 percent of men say that they have been harmed by intimate partner violence. Domestic violence is traumatic. It is often about power and control; one partner continuously exerts power over the other and takes away her sense of control over herself and her life. Physical or emotional abuse at the hand of an intimate partner can cause PTSD (Babbel, 2011; Powell & Smith, 2011). These can all be part of PTSD, the body and mind’s reaction to extreme trauma such as the trauma of domestic violence and emotional abuse (Living With PTSD Can Be A Nightmare). Child abuse has profound effects, effects that last well into adulthood and can involve PTSD. Child abuse can cause PTSD to develop while the abuse is occurring; PTSD symptoms of avoidance and dissociation are particularly common in abused children (Kronenberger & Meyer, 2001). Childhood abuse, especially child sexual abuse, increases the likelihood of PTSD in adulthood. Childhood abuse is physically and emotionally damaging, and it disrupts the healthy development of the child. This can make someone vulnerable to future abusive relationships and further exacerbate PTSD (PTSD in Children: Symptoms, Causes, Effects, Treatments). While childhood abuse doesn’t guarantee that someone will experience PTSD in adulthood and/or become involved in a relationship of domestic violence, someone who experienced childhood abuse is at greater risk for these things.